A deli classic, and one of the best sandwiches you can make with meats from your local deli counter. 1. 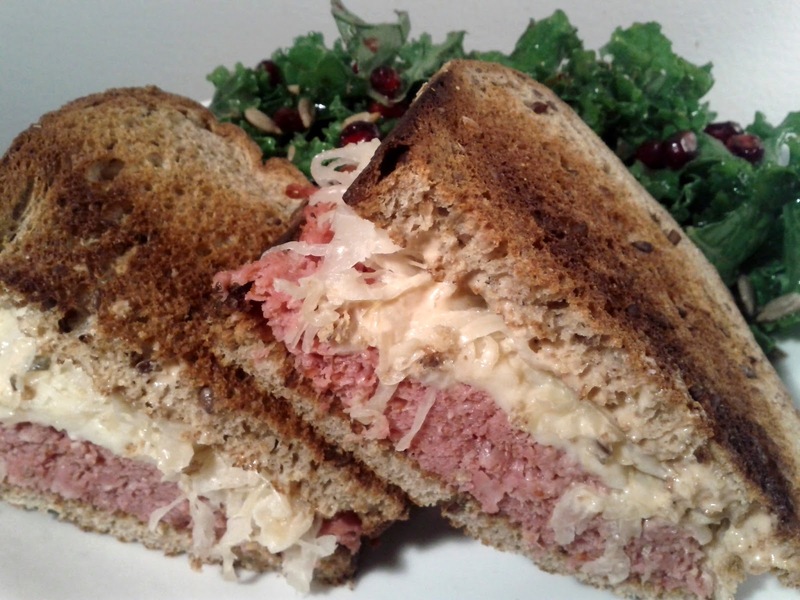 Take some shaved corned beef that you can get shaved at your grocery deli. Don't use the packaged stuff, as it isn't thin enough and definitely won't be as nice. Put a pile on a baking tray for each sandwich you need. On top of the corned beef, place some shredded mozzarella or swiss cheese on top. Put in the oven at 400 degree for 5 or so minutes until the cheese melts. 2. Toast the bread if you'd like it toasted, or just use a nice plain rye bread, and lift the corned beef off the baking tray with a spatula and place it on top of the bread. Top with thousand island dressing, which will give it a tangy zip and help cut through the fat of the cheese and corned beef. And then top with sauerkraut. Top with another piece of bread to complete the sandwich. 3. Serve with a side salad, or a pickle.